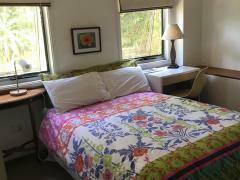 We have a large room in family home at Chapel Hill sharing with Mum (Radiographer - CT Apps Specialist), Dad (Professional Artist) and daughter who is a UQ student as well as Archie, a very friendly Sausage Dog/ Maltese Terrier cross. The house is 50 metres from a bus stop and a 5 minute walk to Kenmore Village Shopping Centre including supermarket, cafes, bakery, chemist, banks, library, etc. The rent includes breakfast, dinner, power, water and high speed internet. 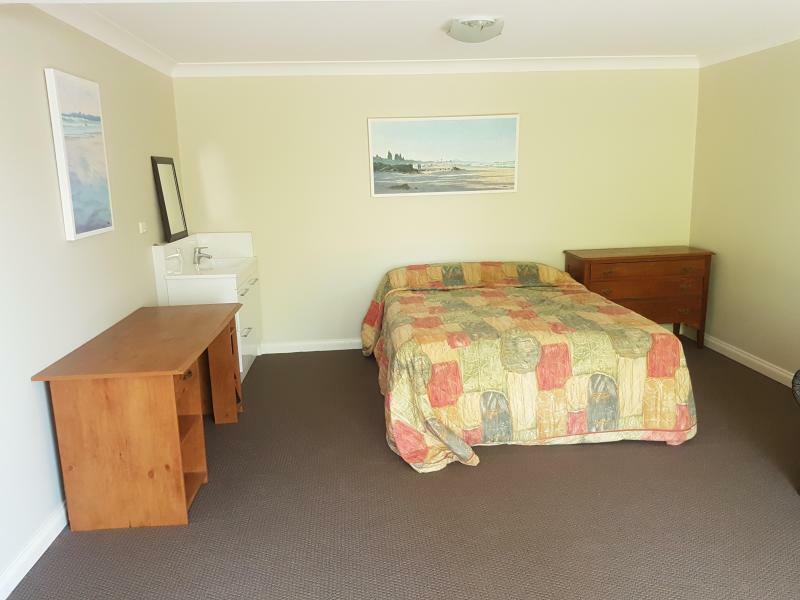 Your large room (7 metres x 4 metres) is one of two downstairs that share the downstairs bathroom with our 19 year old daughter who is studying history and politics at the the University of Queensland. The kitchen, lounge ,other bedrooms and deck upstairs. The bedroom has been recently painted and has new carpet and curtains. We are a family that likes to travel and learn about other cultures and therefore this room would suit a quiet, tidy and friendly, preferably female student that is happy to interact with our family. Breakfast and dinner are included and we would like our guest to get involved in cooking and even cook some of their local meals for us. We are able to be provide bed and other furniture if required.